Norwegian superstar, Anita Yvonne Stenberg brings even more international prestige to the PA Lightning. 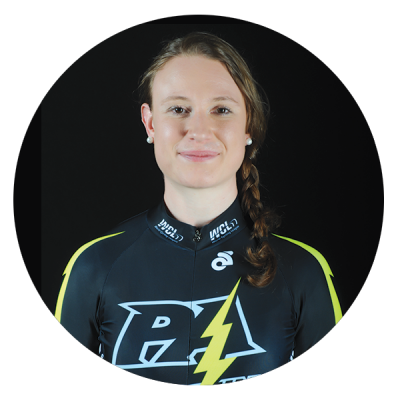 As a versatile all rounder, Anita swept the Norwegian National Track Championships singlehandedly for the last three years. Although she is an excellent sprinter, she is also capable of going the distance to make her the biggest endurance threat amongst the female sprinters. Watch for her to shine in the mass start combined events.